Since I plan to avoid the crowded gym as much as possible for the next month or two, I am dedicating the next week to body weight exercises that can be done at home. 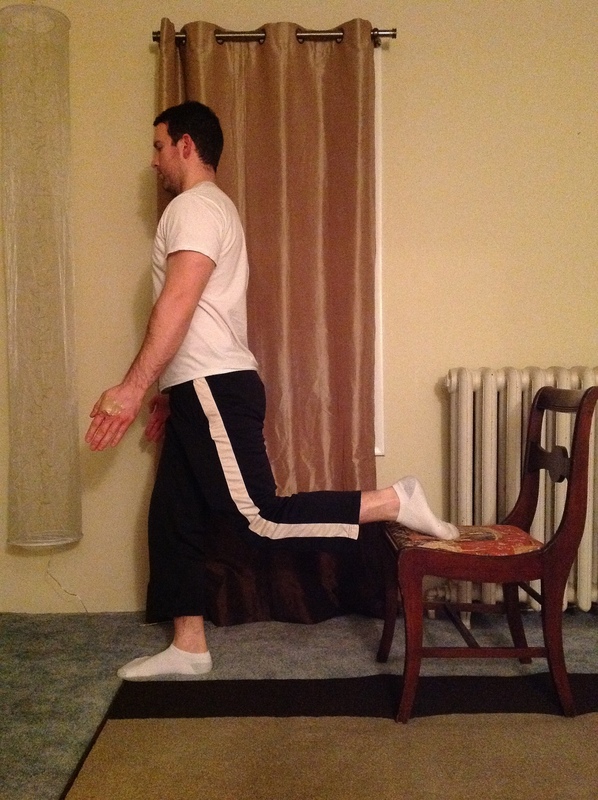 The pistol squat (aka one legged squat) is a very challenging but effective exercise. It mainly works out your quad but it hits all of the supporting muscles as well including your glutes and core. This exercise will also help you improve your balance. Start out by picking a leg, keep the other leg off the ground and in front of you with your hands out in front of you as well. Lower yourself as low as you can go keeping your hands and other leg in front then slowly raise yourself back up. This is a very difficult exercise, do not feel bad if you are unable to do this when you first try. Instead you can build up to the pistol squat. One alternative is to find a place to practice the pistol squat where you can hold on to a handle and balance yourself. This allows you to build the leg strength without having to also focus on the balance. Your second alternative is the single leg split squat. 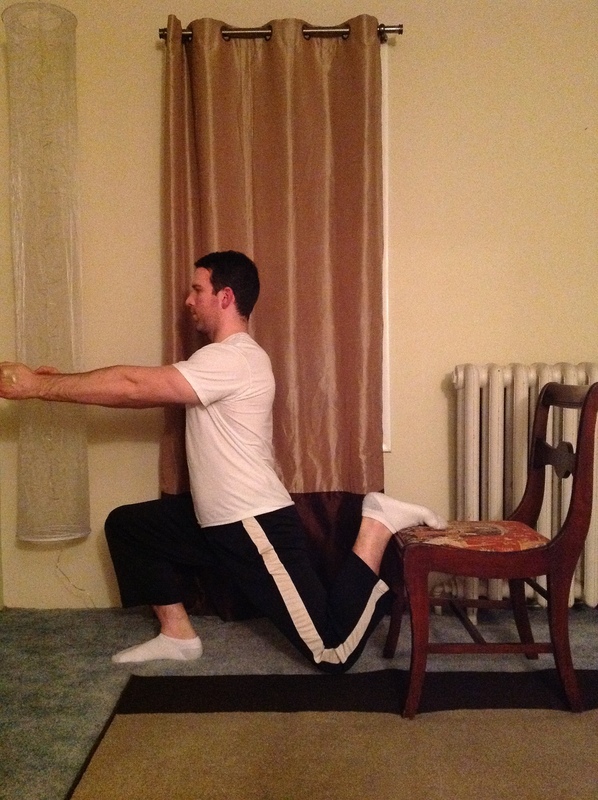 It is identical to the pistol squat except your other leg is behind you stabilizing yourself on a chair or bench. This exercise is somewhat easier than the pistol squat and allows you to slowly work up to doing a true one legged squat. A good goal for the pistol squat is to be able to do 10 on each leg. Once you get to that point, start adding weight using dumbbells or a weight vest. Hey man. Always looking for bodyweight exercises. Looking forward to your posts. You will get plenty of interesting and challenging variations of bodyweight exercises you probably already know. No gym? WHAT ABOUT YOUR GAINS! ?